1. Heat a deep curved broad kadai with oil. 2. When it smokes reduce flame and put all the powders and corn in the oil. 3. Close with a proper big lid so that when corn pops with splutters, it will not spill over. 4. When the spluttering stops take the lid out and switch off the stove. 5. Serve immediately or store in air tight container. Note : Do not put more corn at one time. A handfull to 1/4 cup itself makes a kadai full of pop corn. 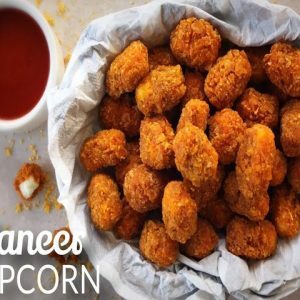 Feel free to comment or share your thoughts on this Pop Corn Recipe from Awesome Cuisine.